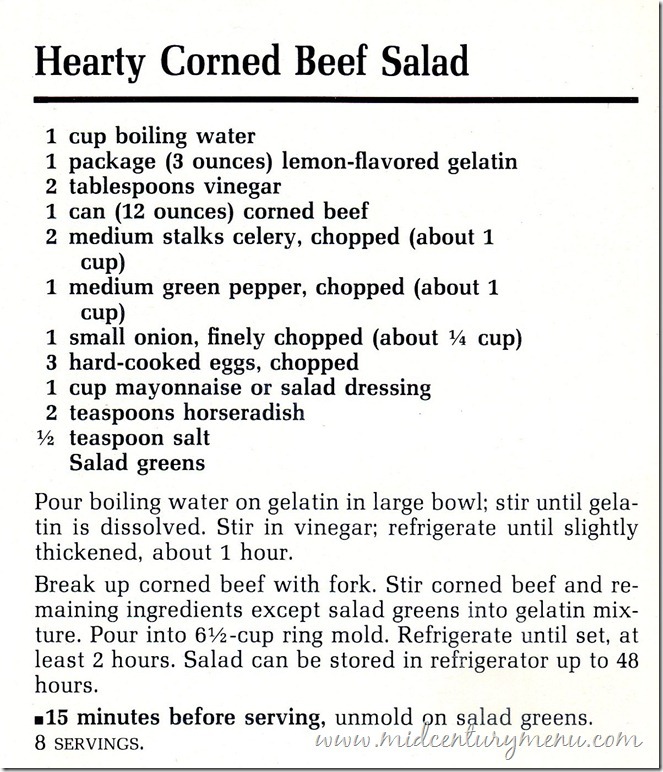 My other half and I were looking through your gelatin contest. 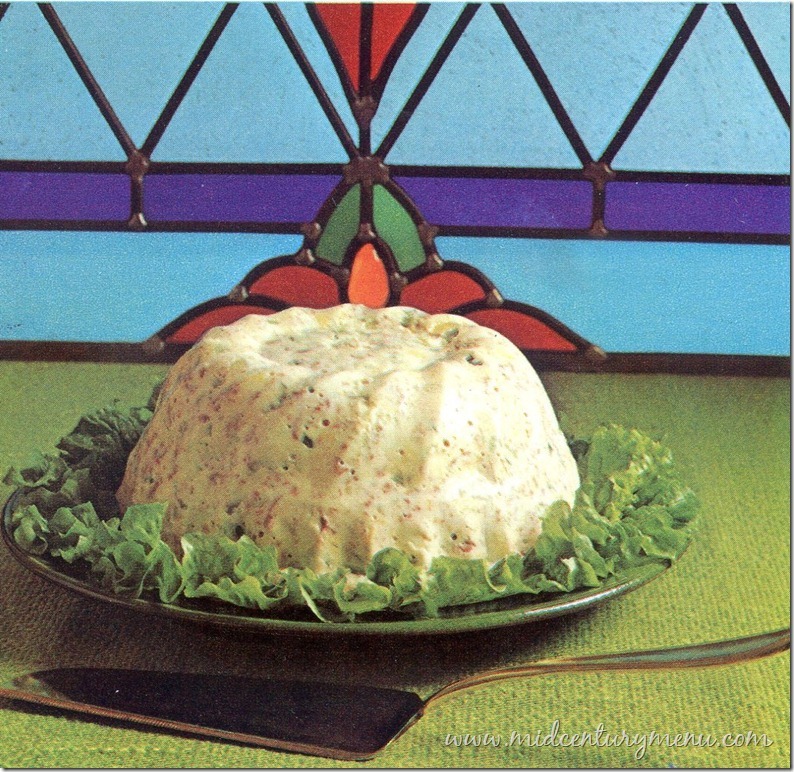 I must say, I think showing him shocked his French sensibilities but I immediately thought of my grandmother’s cucumber and lime jello gelatin salad. It has been a family regular for years. We all quite enjoy it. I just found your website last week and I love it. My mother made this, or something very much like it. 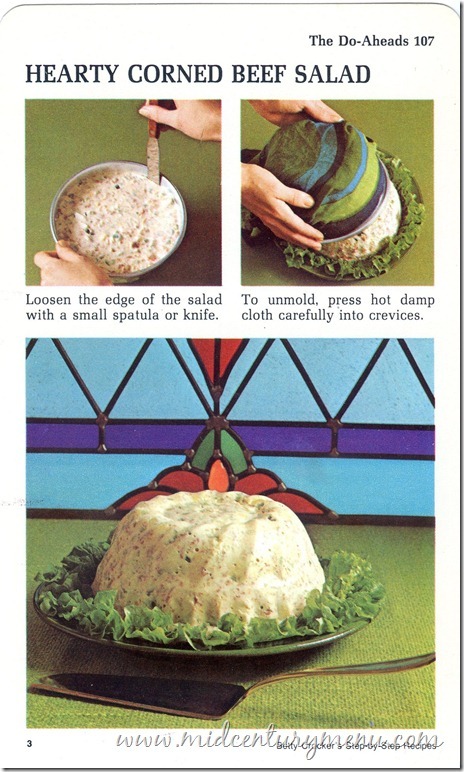 She did it in a loaf pan, not a ring mold, if I recall correctly, and served it as a light meal with saltine crackers, carrot sticks, and maybe sliced tomatoes. 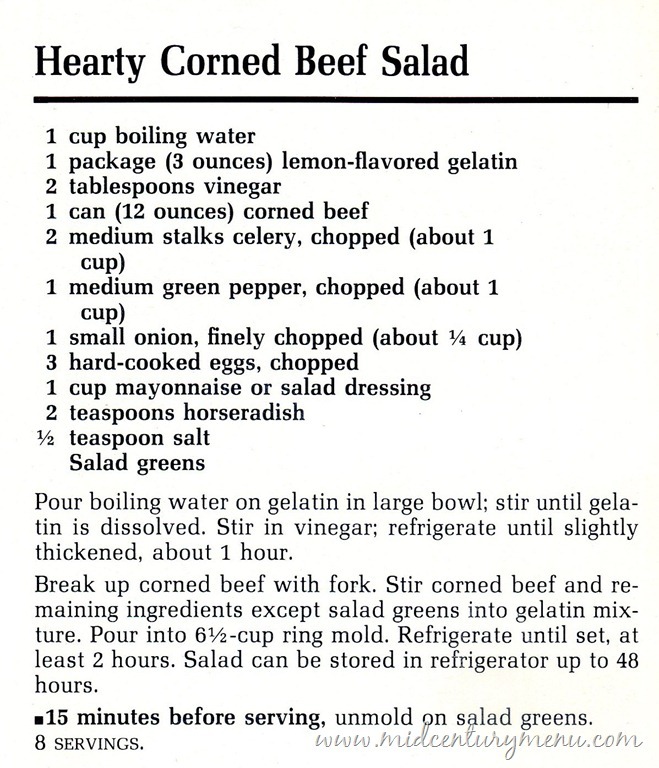 My grandmother made this salad every year when we would drive 10 hours to come visit. 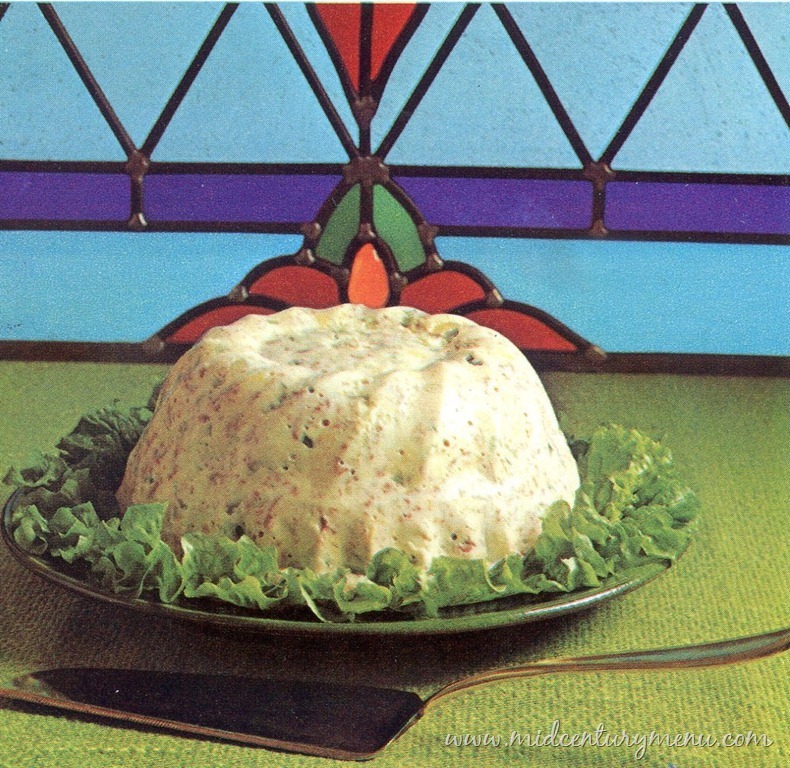 I associate this salad with happy vacation memories. I realize now as an adult, that this is the perfect meal to have prepared in the days before cell phones when you had no idea what time our family would be arriving because it is served cold. Thanks for sharing!